This was extraordinarily pioneering for its time, its uniqueness said to be even more pronounced in the courtyard, with its curtain walling (see Sharples and Pollard 342). According to the well-researched Engineering Timelines, this was, therefore, "the first building in the world to make extensive use of glazed curtain wall construction." Very little is known about the architect, who has only one other notable building, and a couple of other unexceptional ones. But Oriel Chambers alone would have been enough to secure his standing. It was greeted with outrage at the time, but foreshadowed the next century's Modernism. According to Oriel Chambers's own website, it "had a considerable influence on office buildings across the world, inspiring John Root's early Chicago skyscrapers and shaping the New York skyline we know today." It is regularly picked in architectural listings as one of the most important buildings in the country: for example, at the time of writing, the Royal Academy recently picked it as one of Britain's Top Ten "maverick buildings" (see Cuss). Photographs, formatting and text by Jacqueline Banerjee. You may use these images without prior permission for any scholarly or educational purpose as long as you (1) credit the photographer and (2) link your document to this URL in a web document or cite the Victorian Web in a print one. "Oriel Chambers, Liverpool." British Listed Buildings. Web. 20 July 2016. Cuss, Helena. "Britain's top 10 maverick buildings." 1 April 2016. Web. 20 July 2016. Pollard, Richard, Nicholas Pevsner and Jospeh Sharples. Lancashire: Liverpool and the Southwest. New Haven: Yale University Press, 2006. 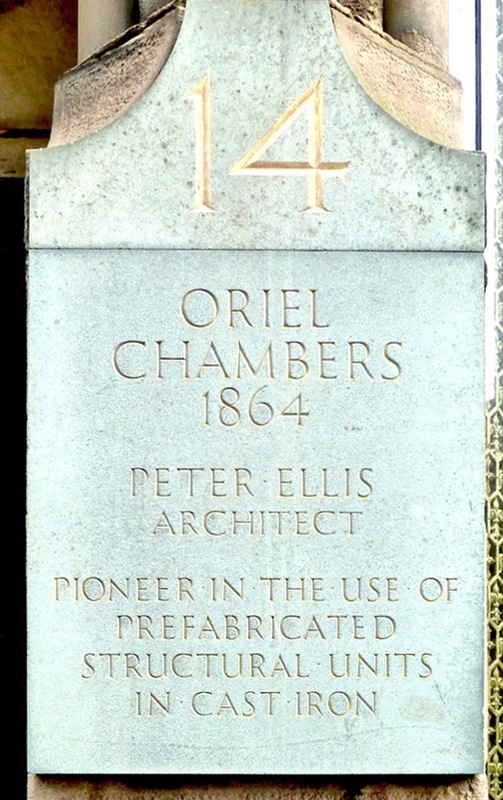 "Oriel Chambers." Engineering Timelines. Web. 20 July 2016. 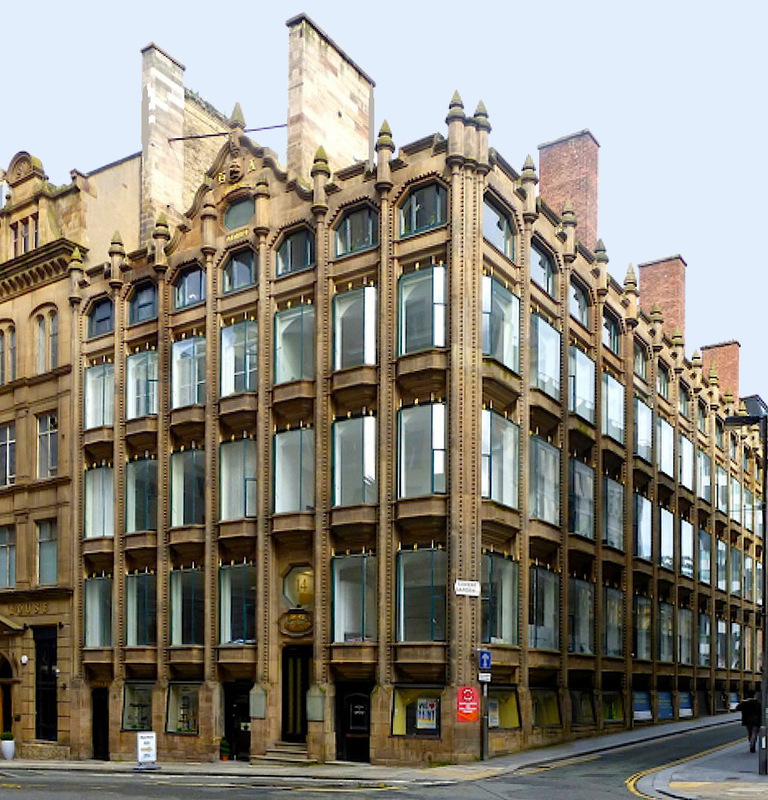 "Oriel Chambers History." Oriel Chambers. Web. 20 July 2016. Sharples, Joseph, with contributions by Richard Pollard. Liverpool. Pevsner Architectural Guides. New Haven: Yale, 2004. Sharples, Joseph, and Richard Pollard. "Liverpool." Lancashire: Liverpool and the South West, by Pollard et. al. The Buildings of England series. New Haven: Yale, 2006. 242ff.